GIVE YOUR STREET BIKE A NEW LOOK WITH A COMPLETE BOLT ON SWINGARM THAT USES ALL OF YOUR STOCK HARDWARE. 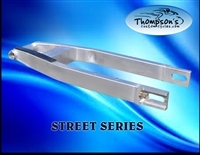 ALL SWINGARMS OVER 10" INCLUDE UNDERBRACING GIVE YOUR STREET BIKE A NEW LOOK WITH A COMPLETE BOLT ON SWINGARM THAT USES ALL OF YOUR STOCK HARDWARE. 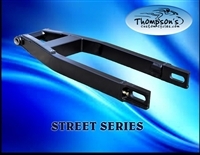 OUR STOCK REPLACEMENT SWINGARM FOR THE ZX11 WILL REPLACE YOUR STOCK SWINGARM WHILE KEEPING YOUR STOCK AXLE AND BRAKE BAR. For any questions please call us at 1-866-411-BIKE.